Unscrew the anti-roll bar link from the strut. The old version had a grip behind the strut, so you could use a 17 mm spanner on it. The new version has a smaller hex pin protruding in the front, which requires you to use a spanner on the nut itself, while holding the pin with a small socket. 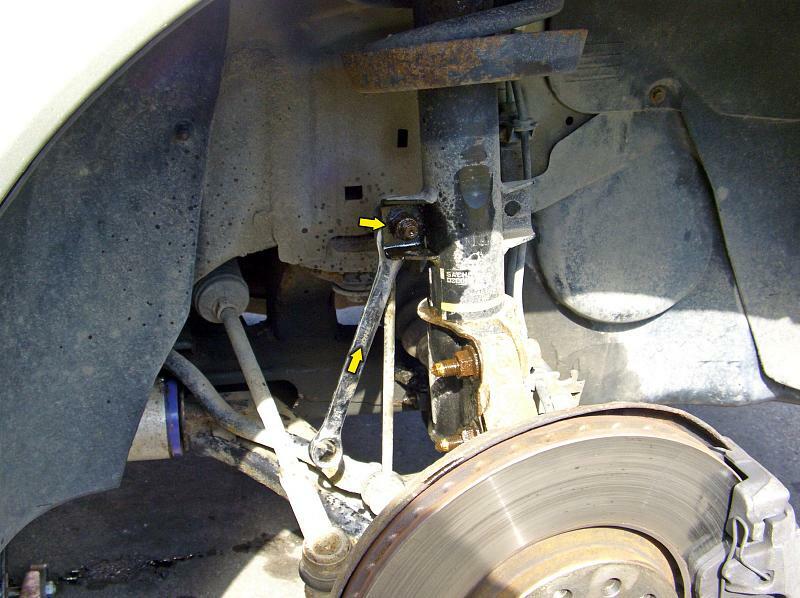 Front suspension replacement on a Saab 9-5. The old and tired original dampers and springs are being upgraded with Bilstein Sport dampers and Eibach Pro Kit lowering springs. The strut mount and bearing are also getting replaced.